RBI Assistant Prelims exam was over in last month and it is time to prepare yourself for RBI Assistant Mains Exams which will be held on 20th December 2017. Some of you might have a doubt about how to prepare for RBI assistant Mains exam in such short period of time. Mahendra guru is providing you a 15 days strategy to crack this Mains exam. It should be better for you to have a nuts and bolts so you can get ready yourself to deal with the same poise. So, give your best performance in RBI Examination. Prepare for the exam in a more planned and disciplined way. The candidates provisionally selected from the mains on-line examination will have to undergo a language Proficiency test (LPT). The language proficiency test will be conducted in the Official / Local Language of the State concerned. Only such number of candidates will be called for Language Proficiency Test who stand Sufficiently high in merit on the aggregate marks of the Objective Tests. 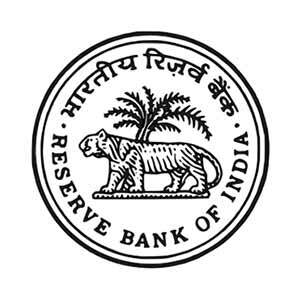 Do the exam analysis of previous year RBI Assistant mains exam. This will help you to understand the level that can be expected in the exam. Work on Time Management, it is an essential part of your exams so you can give proper time to each section at your end. Also focus on Accuracy, with this you can score maximum marks in your exam. Speed is also very important to qualify the mains exam. You must practice to acquire a speed and with accuracy and good speed you can attempt many questions. This section contains 40 Questions with 40 marks in 30 min. If you manage a time you can score good marks from this sections. This will cover your approx. 10-15 marks. These above topics will cover your minimum 15 marks. 4. In last two days practice on Data Sufficiency (5-7Qs). These sections also consist of 35 Questions of 35 marks. Above these topics covered your approx. 10-15 marks. 3- In last seven days cover all the miscellaneous topics of Reasoning it will help in scoring 20 marks approx. It is the most important section for scoring the highest marks in RBI Mains Exam. These topics covered your approx. 20 marks. These sections consist of approx.10 marks. 3- In last four days do practice a lot of mock test paper and previous year paper as many as possible. This will cover min.5-10 marks. These will score you approx.10-15 marks. 4. In last five days do practice a previous year paper. The above-mentioned Strategy will definitely be helpful to you. Kindly keep yourself calmed and stay focused on your goal. Be confident and positive.Nothing is impossible if you want to crack the exam with the full dedication and hard work. Focus on your study plan. Give your best in the exam surely you will get your goal.